D. and I took a break from our vow to eat out less. 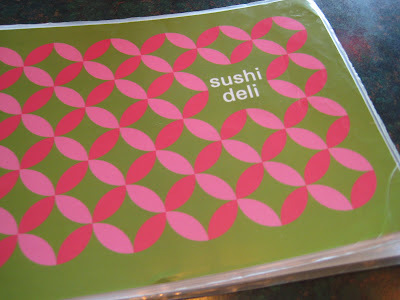 We started Sunday with Chicago on a Bun/Wired and ended it with Sushi Deli 1. We met up with D.D. and D.B. for dinner, then headed back to our place to watch King of California. Good movie, by the way. I haven't been here in about 8 months or so. 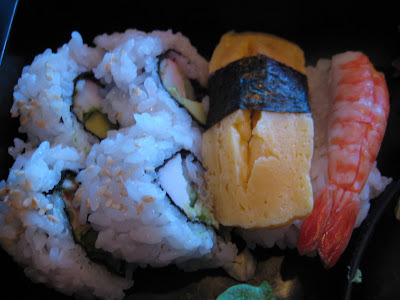 Sushi Deli 1 is a prime example for being very good for what it is. 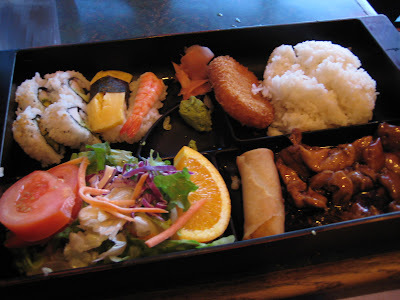 Cheap and fast Japanese-American food. No, it's not going to win awards for authenticity or innovation, but it fills its niche very well. 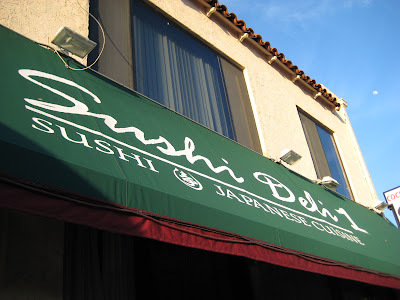 The first of three Sushi Deli restaurants, this location is constantly crowded. The service is good and the ambiance is a deafening roar inside the restaurant. 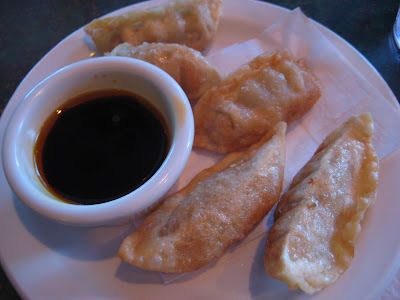 D. started with the fried gyoza. They're not bad. Lightly fried all over, they taste pretty good and are nicely wrapped. D. wonders if they're made on-site or if Sushi Deli purchases frozen ones. I ordered the Ume Combo. For $6.99, it's a lot of food. Small sushi platter with CA rolls, cooked egg, and shrimp. Nothing adventurous. It's decent and quite fresh. 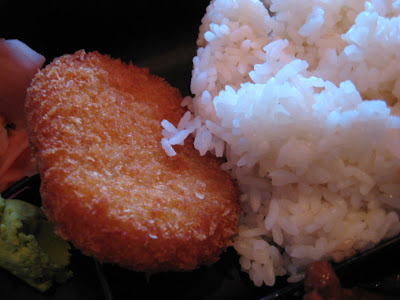 My favorite part is the croquette. It's essentially a fish stick. Flavorful white fish mashed with veggies, shaped into a "stick", and rolled in panko crumbs. Then, it's fried until it's light and crisp. Great stuff. Their teriyaki is ok. 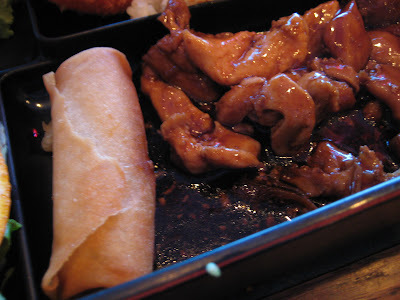 It's kind of gooey and a bit too sweet, but good with rice. They switched to using more dark meat. It keeps costs lower, I think, and I like it. Dark meat stays more moist. Basic iceberg salad with miso ginger dressing. Not bad. Fresh greens with good tomatoes, so it's not bad at all. 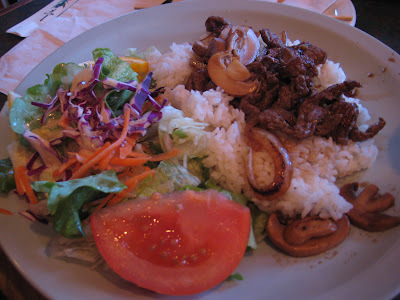 D. had the beef teriyaki combination for his entree. 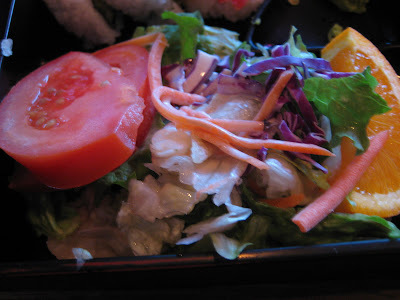 The combinations come with miso soup, rice, and salad during dinnertime. For lunch, it's the above plus a drink. I ended my meal with two pieces of nigiri. Some of you out there might be wondering why I'd order nigiri at a place like this. 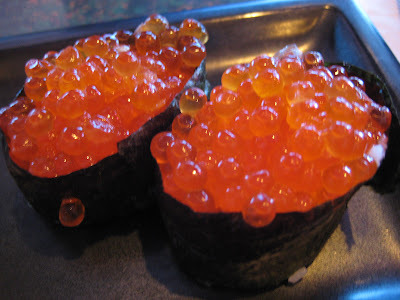 However, I find their ikura (salmon roe) is pretty good. Fresh and salty, it's a delicious and rather large piece of sushi. The crowds are the only thing that keeps me away from this place. It's a fabulous lunch spot, but it's too far from work to justify the trip. They're not open for lunch on weekends, but how I wish they were.